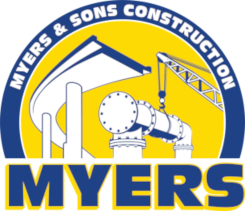 Myers and Sons Construction LP was subcontracted by Gwinn Construction, Inc. to complete a 5,000 SF polyester concrete overlay at the Sacramento International Airport. 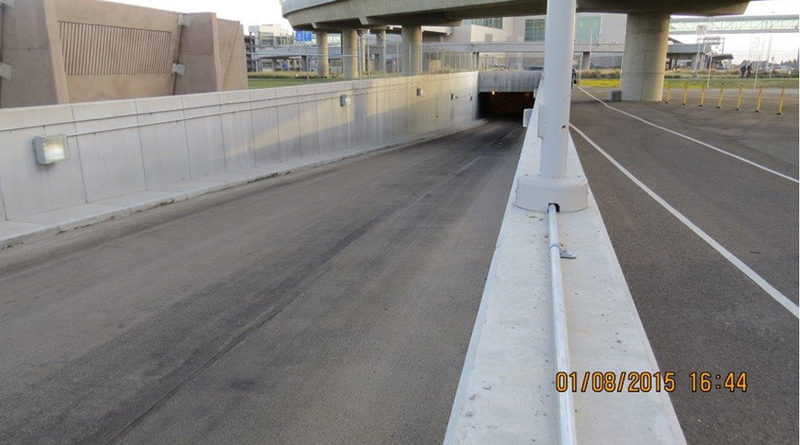 A polyester overlay was utilized to help level ramps going into and exiting Terminal B of the airport which had various dips and cracks that needed repair. 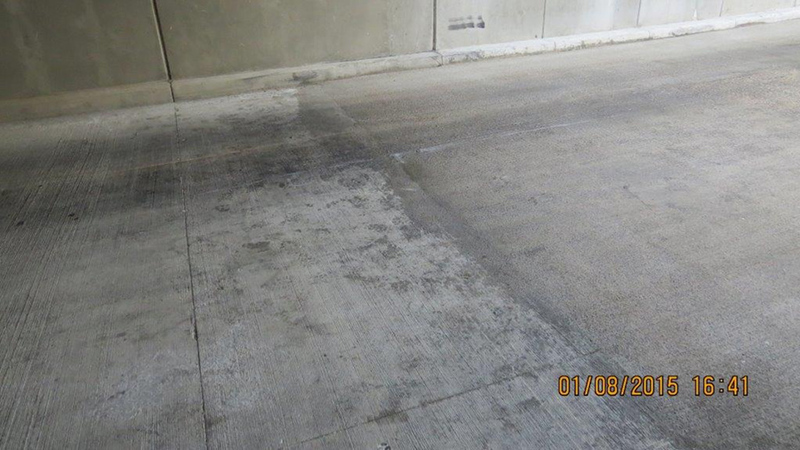 The project consisted of grinding followed by deck prep and polyester paving. 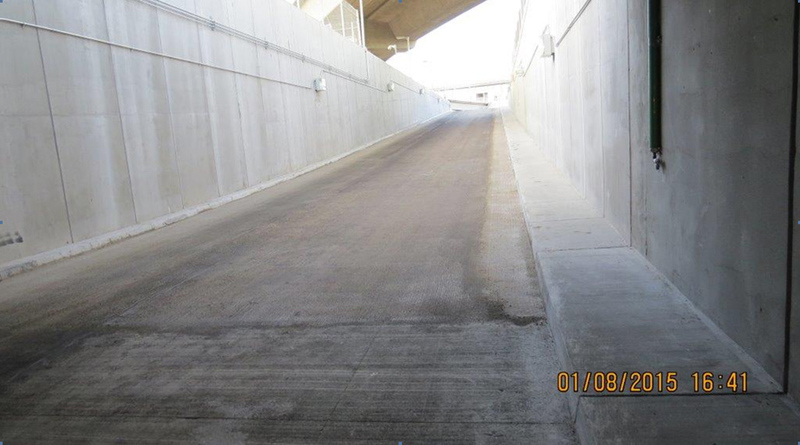 All personnel on site had to undergo security training to be allowed on site for work and access to the terminal was required to remain open at all times.